Cath joined the team in January 2019 to raise vital income from Charitable Trusts, Foundations and grant giving bodies. 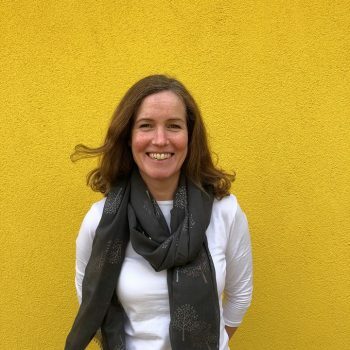 Since moving to Cornwall in 2006 to raise her children, Cath has worked for both local, regional and national charities including Children’s Hospice South West and more recently has sat on the other side of the fence distributing European funding at Cornwall Development Company. When not at her desk, Cath enjoys the great outdoors, whether running, cycling, walking, kayaking or surfing. His Honour Judge Simon Carr, Recorder of Truro. Called to the Bar 1984. Appointed a Circuit Court Judge 2009. 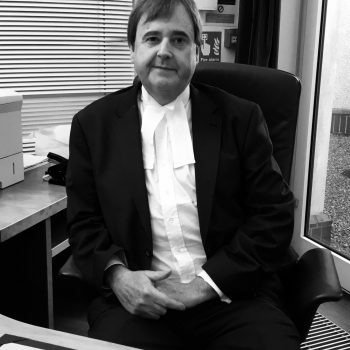 Appointed Resident Judge at Truro 2016. Was a trustee of the Jane Goodall Institute UK (JGI) 1997 to 2017 and for the last seven years at a Chair of Trustees. Also sat on the Global Board of JGI as Chair of the Ethics Committee from 2012 to 2017. ECB accredited club umpire and amateur beekeeper. 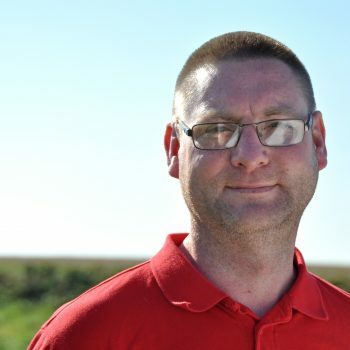 Alan joined the team in November 2016 as a van driver. Day to day, he is in the van, driving around to meet people throughout Cornwall, collect furniture and deliver it to the store. Speaking to local people in their homes, he is often one of the first faces the public meets and can give information as well as an informal chat. He has lived in St Austell all his life, and has previously worked for a local removal firm for 13 years. Alan is a big music lover, and in his spare time enjoys local bands. He is also a member of the St Austell Band Club. Our firm has been supporting the charity for several years and I was truly honoured to be asked to join the CAAT Appeal board. 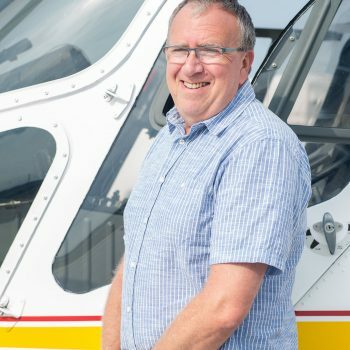 The new state of the art helicopter will save lives and be a great legacy for Cornwall, so the chance to get involved and challenge myself at the same time was a no brainer! Having met my fellow board members I am really excited and can’t wait to get going – watch this space. 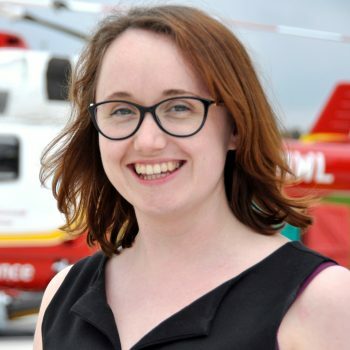 Amy started working for the charity in March 2018 and works across the whole organisation to co-ordinate all of the New Heli Appeal fundraising activities, helping to ensure that the charity raises £2.5 million to buy a next generation helicopter by April 2020. Born and bought up in Cornwall, Amy left the county to go to University and then spent 5 years living and working in Oxford. Before joining Cornwall Air Ambulance, Amy always worked in the arts and cultural sector, working with the Philanthropy teams at English Heritage and the National Trust, supporting a number of major capital campaigns with museums across the country, and working at Oxford University. She moved back to Cornwall in 2016 where she became Fundraising and Development Manager at the National Maritime Museum Cornwall. Amy is excited to do what she can to secure the future of this important charity for many years to come. 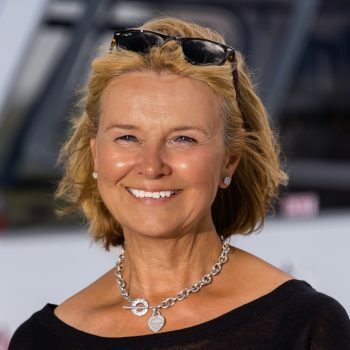 Barbara is an ex Managing Director of The Body Shop International and of Dorling Kindersley Publishing. A former trustee of The Body Shop Foundation and International charity Children on the Edge. More recently Barbara ran her own very successful consultancy business. She is a passionate supporter of women in business and mentored the founder of The Aspire Foundation helping women and girls globally to achieve more business, social and economic freedom. Barbara has also held non executive advisory roles. She is now delighted to be a trustee of C.A.A.T. “The appeal we have launched is the next chapter in the charity’s history. A next generation helicopter which will save more time and save more lives. It will reach more people and improve the quality of care that patients receive. I feel incredibly proud to be a trustee of this charity and to now Chair the appeal board as we deliver the next chapters legacy to the people of Cornwall now and for future generations to come. The people, businesses & organisations of Cornwall & The Isles of Scilly have always generously supported this charity and I know will join us on our mission to raise £2.5m." Becky joined the fundraising team in April 2013. With a background in fundraising that began at university in Leeds, she enjoys supporting individuals in their fundraising and leading the rest of the fundraising team. 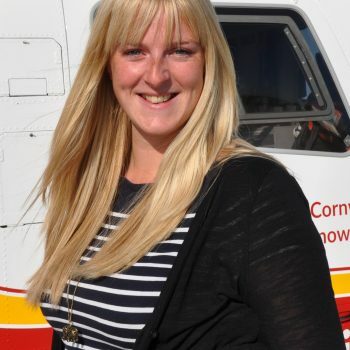 As someone who loves the outdoors, Becky is well aware of the importance of the helicopter in a county as rural as Cornwall and loves involving the community to keep this important part of Cornish life flying. When not at work Becky enjoys travelling (especially visiting her sister in New Zealand), doing yoga and walking on the coastpaths and moors of the country. Having taken up the challenge of running Plymouth Half Marathon for the charity in 2014, Becky found she actually enjoys running and still runs regularly. She also loves the Great British Bake Off and says she’ll do anything for a slice of cheesecake.